If you are anything like me, you almost never print your digital pictures. Finnally, after years of making up excuses, I printed some of my most beloved memories in a Polaroid-like style. I was really happy with the result, but surprised that it took me so long to prepare the file for print. I thought to myself: “Why not develop a web application to speed things up? It would help me to print photos more regularly and, hopefully, help other people as well”. We live in the era of instant gratification, and regardless of how much we would like to have our best pictures on paper (rather than lost in the phone camera roll), we often perceive that the time and effort involved in printing the pictures weight more than the reward we may get from doing so. What if there was a way to distract users from those inconveniences and give them the right incentives to print their pictures? Who said skeuomorphism was dead? It is true that it is no longer a popular design trend, but that does not mean that applying visual metaphors have no use. At the beginning of the project I worked to make sure that the experience was as intuitive as possible, although later realized that it would not be enough to reduce the perception of the inconveniences of having to print the photos. Because of this, I incorporated aspects of skeuomorphism. 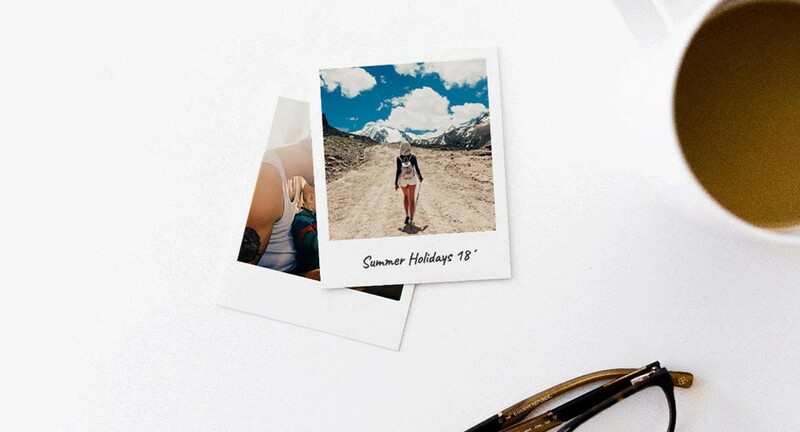 The user interacts with a faithful digital representation of a Polaroid photograph and, instead of being placed uniformly in the grid, each one of them is slightly rotated to make them look more like a real life object. By providing a constant reminder of what the final result will look like, the inconveniences are set aside and the user focuses on the reward, which is a great incentive to move forward with the printing process. 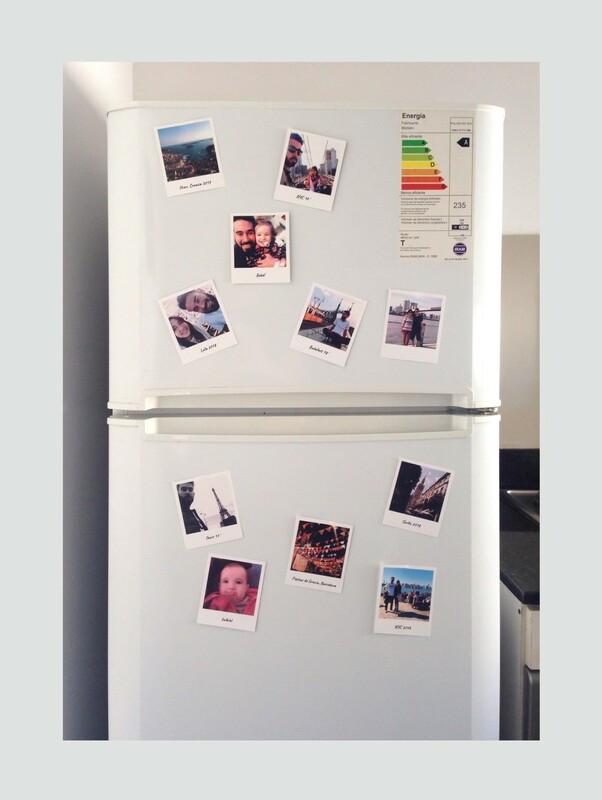 Polaroider is a free service, so delivering the photographs to the users´ doorstep was out of the question. Without a doubt it would be the most comfortable option, but would it be the best experience? Users have to download a PDF, print and cut the photos by their own but, although I’m sure it can be a determining factor for a lot of people, it’s not necessarily a bad thing. There is a misconception that friction must be avoided to achieve a good user experience. Actually, friction points can improve the experience in many ways. In cases like this, a little bit of handmade craftsmanship adds a big emotional component, which is known as the “IKEA effect”. Wikipedia defines the IKEA effect as a cognitive bias that occurs when consumers give a disproportionately high value to products that they have contributed to create. The name derives from Swedish furniture manufacturer IKEA, since a large part of its products need to be assembled by the buyer. In the print file, the photos are placed next to each other in order to reduce the total number of cuts needed, but even if they are only a few, the fact that the user has to manually cut the paper helps to convey a much more rewarding feeling than if the process was automated. This project was more personal than any other because it was solving my problem. It is absolutely amazing that it was featured on Product Hunt and won the “Most loved” award by OnePageLove.com, but none of that tops getting out the bed every morning, walking to my used-to-be-boring frigde for a glass of water and start the day with the smile I get from looking at some of my best memories. 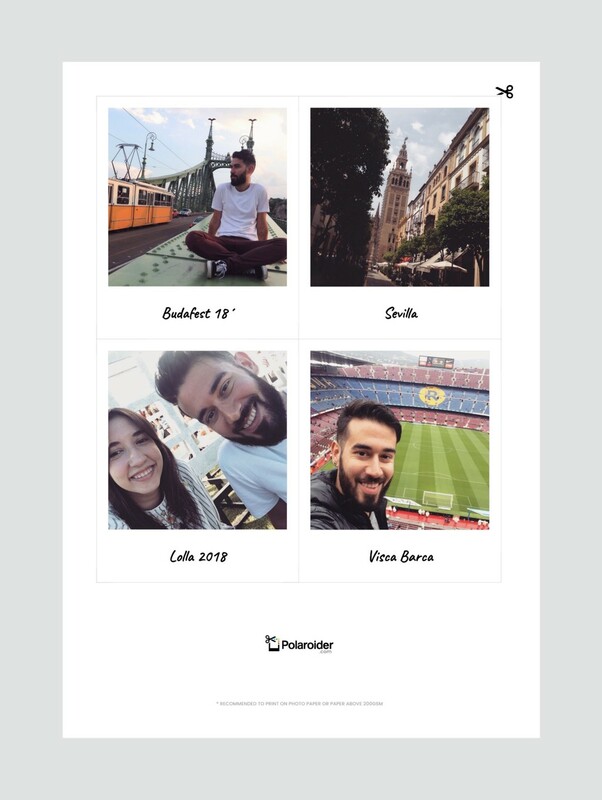 Polaroider.com — a UX Case Study was originally published in UX Collective on Medium, where people are continuing the conversation by highlighting and responding to this story.